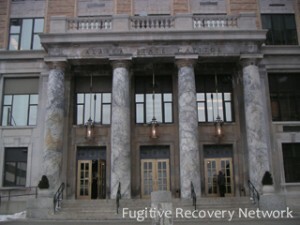 Below is basic information on bail bond laws for Alaska concerning Bail Enforcement, Bounty Hunters, Fugitive Apprehension and Bail Bondsman. This is not legal advice. Laws change frequently, please check the links provided for possible updates and current information. It appears that governance by local rule is allowed and the Department of Insurance is the regulatory body. Bail bond agent’s arrest authority. For the purpose of surrendering the defendant, the bail agent may personally arrest the defendant, or, by a written authority endorsed on a certified copy of the undertaking, may empower a peace officer to do so. Alaska does not have provisions regarding bounty hunters. Please check with the Alaska’s Department of Insurance, Licensing Board and/or Local Law Enforcement for the most recent updates. If you know of any updates to Alaska’s bail bond laws, please provide as much detail as possible and send to us using our contact form.